A guide to spotting fearful body language in dogs, and a chance to test out your skills. You have to learn to read dog body language if you want to know when or if your dog is afraid. This is a guide to spotting the signs. Many people find it hard to tell when their dog is afraid and may even think their dog is okay when that’s not the case. This is very common but it can mean people are risking being bitten without knowing. And we can look after our dogs better if we know how to read canine body language. There are many signs of fear, anxiety and stress in dogs. Things to look for include a tucked tail, ears back, licking the lips or nose, whale eye (wide eyes showing the whites of the eyes), looking away, lifting a paw, trembling or shaking, a low body posture, yawning, panting, grooming, sniffing, seeking out people (e.g. looking for comfort from you), hiding, not moving, a stiff or frozen posture, urinating and defecating. Some of these are what’s known as displacement activities. For example, sniffing and grooming. Yes, it’s possible the dog is sniffing an exciting smell, but if the dog is scared, the sniffing is likely a displacement activity. Similarly, a dog may yawn because they are tired, but it could be a sign of stress. If you see a yawn, ask yourself why they might be yawning. People find it much easier to tell when a dog is happy. Look for a relaxed body posture, a soft open mouth, relaxed eyes, relaxed ears (whether the dog has prick or floppy ears), a nice loose wagging tail (that sometimes involves the whole body wiggling), and maybe some playful behaviour. That soft, open mouth is like a dog’s way of smiling. You may see some teeth, but the lips are not drawn back to show lots of teeth and the dog is not snarling or growling. One thing to remember is that we can use all of the dog’s body language and not just concentrate on specific parts. Experts use more body parts when assessing a dog’s body language, and they are more likely to pay attention to a dog’s ears (Wan et al 2012). In terms of recognizing fearful dogs, people said they particularly found the face useful (including ears, eyes and mouth). 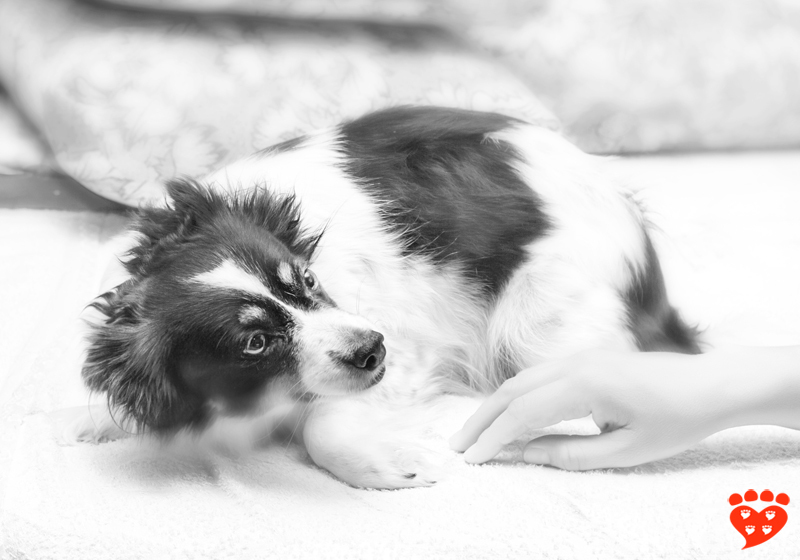 As well as looking at the dog’s body language, we should also take account of what is going on at the time, as this will help us determine how the dog is feeling. There are some situations in which we might expect dogs to be scared, such as at the veterinarian or when there are fireworks, but studies show people still aren’t very good at reading dog’s body language. 30% of dogs are highly stressed in the vet’s waiting room but owners did not always recognize this (Mariti et al 2015). The most commonly-observed signs include nose licking, panting, low ears, grooming, crying and yawning. 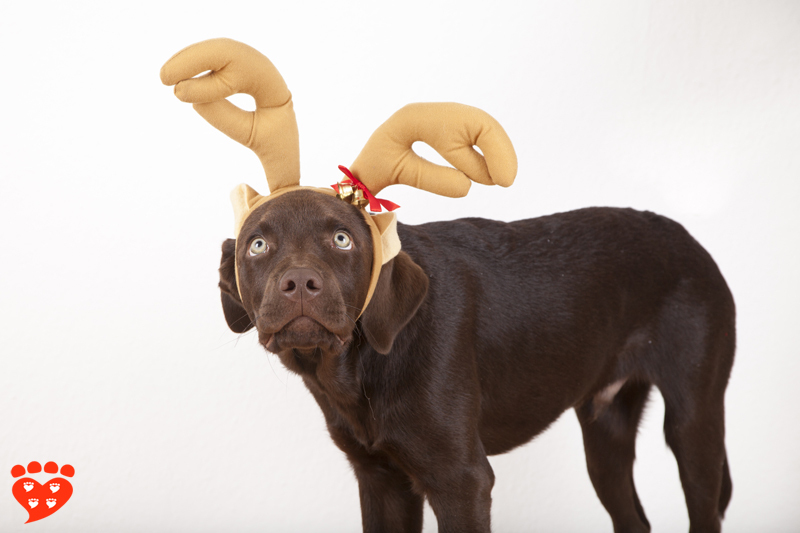 Many people also miss signs that their dog is afraid of fireworks (Blackwell, Bradshaw and Casey, 2013). Signs include trembling or shaking, barking, hiding, and seeking out people. Another time when people tend to miss fearful or anxious body language is when dogs are interacting with small children. Unfortunately, in these circumstances many people think anxious dogs are actually relaxed and confident, and dog owners performed worse than those without dogs at reading the body language (DeMirbas et al 2016). People do not supervise dog-child interactions closely enough, fail to recognize the dog’s body language, and especially let their guard down when the dog is the family dog rather than an unknown dog (Arhant et al 2016). One time when it can be quite difficult to decide if a dog is afraid or not is leash reactivity, when the dog lunges and growls at other dogs. This can be to make the other dog go away, because the dog is afraid, but it can also be because the dog is frustrated the leash is preventing the opportunity of greeting the other dog. In the latter case, the dog will be prosocial and friendly with other dogs when off-leash, but the behaviour in the moment of growling and lunging can be hard to interpret. It’s important to figure it out because it would be a real shame to prevent off-leash socializing for a friendly dog who likes to play with other dogs. This is one reason it's important to help people understand signs of play in dogs, like the play bow (see also: bringing play back for sequestered dogs). As well as knowing whether the dog is usually friendly to other dogs, there are some body language signs. In cases of frustration, the dog may show signs of wanting to approach the other dog before it ‘goes off’, and there may be signs of excitement such as yawning or circling. 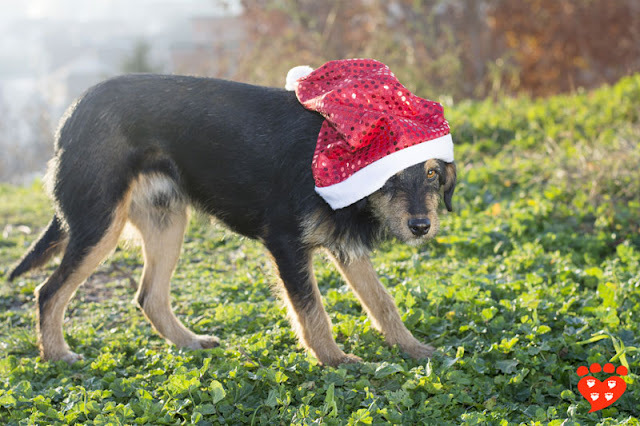 If it’s fear, the dog may show signs of fear before ‘going off’, such as ears back, a low posture, looking away and a tucked tail (Mills et al 2014). If you think a dog is afraid, don't try to pet them. See how to pet cats and dogs to learn how to give pets a choice. When we look at dogs, we see different characteristics depending on the breed. Some dogs have pricked ears while others have floppy ears. Some dogs have lovely long tails while others have tails that are corkscrew or naturally short. Does this make a difference to body language? You bet! Then there are the cosmetic changes that some people make to their dogs. While ear cropping and tail docking of dogs is banned in BC where I live, these procedures are unfortunately still legal in some places. The tail is an important part of canine communication. Tail docking can interfere with communication between dogs, and between dogs and people (Mellor, 2018). When interpreting dog body language, it is harder for us if the dog’s ears are cropped and/or the tail docked. How can you tell if the tail is low or not if it is only a little stub? 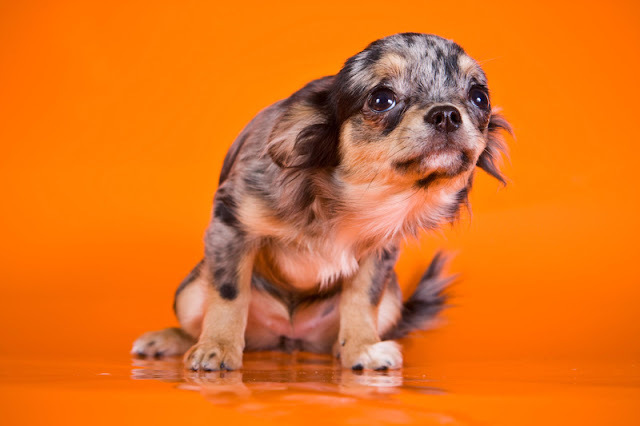 And it’s harder for other dogs to recognize too, which can put the dog at a disadvantage in social canine interactions. 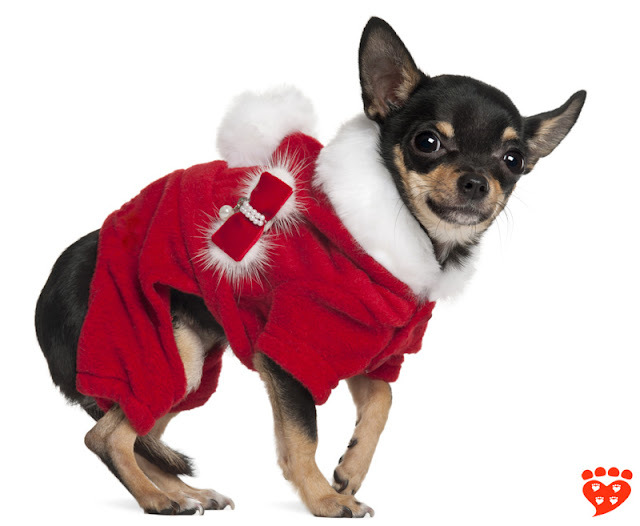 When dogs wear costumes, like Santa outfits or Halloween costumes, it can make it difficult to interpret their body language too. The costume can interfere with the dog’s communication. 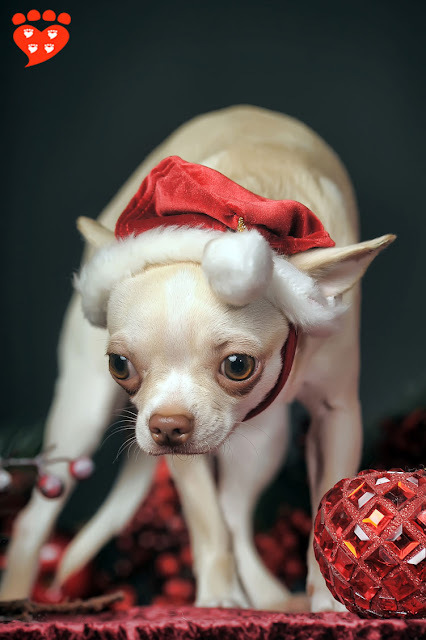 For example, the costume might fix their ears in a particular position, so we can’t tell where they would be if the dog weren’t wearing the costume. And a costume can interfere with movement of the tail or other parts of the body too. Many dogs don’t like to wear costumes. It’s not fair to make your dog wear a costume when they hate it. So, if you want them to wear a costume and they don’t like it, you can use it as an opportunity to teach them to like it. This can be good practice at learning to like being handled, which some dogs also don’t like, but which has to happen e.g. at the vet or if the dog has to wear a rain jacket or sweater in winter. 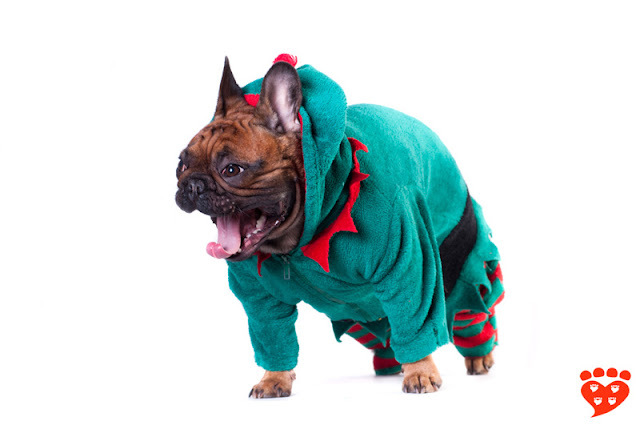 Even if you think your dog will like the costume, it’s best to use treats when you first introduce it. See the best dog training treats for ideas. It’s Christmas in July! 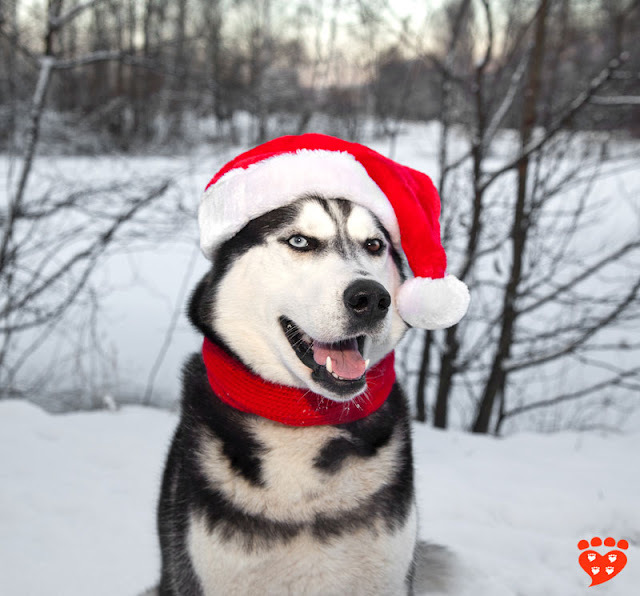 Take a look at these dogs in Santa costumes and see if you can figure out the meaning of the dog's body language. To make it easier, let’s stick to two categories: ‘happy’ and ‘worried,’ where worried means showing any signs of fear, anxiety or stress. But it's more about seeing if you can spot any signs than assigning a label. Of course, each photo is just a moment in time and the dog may have been showing different body language before and after (since I’ve been browsing the photos, I can vouch for this). That's the disadvantage of looking at photos instead of video. You can only decide for the specific moment in time captured in the photo. On the other hand, body language can be fleeting, and with a photo you have time to contemplate the whole picture. Instead of concentrating on labels – happy or worried – take note of the body language signs you are using to make that decision. Look where the tail is (if it's visible in the photo). Look at the mouth and eyes. 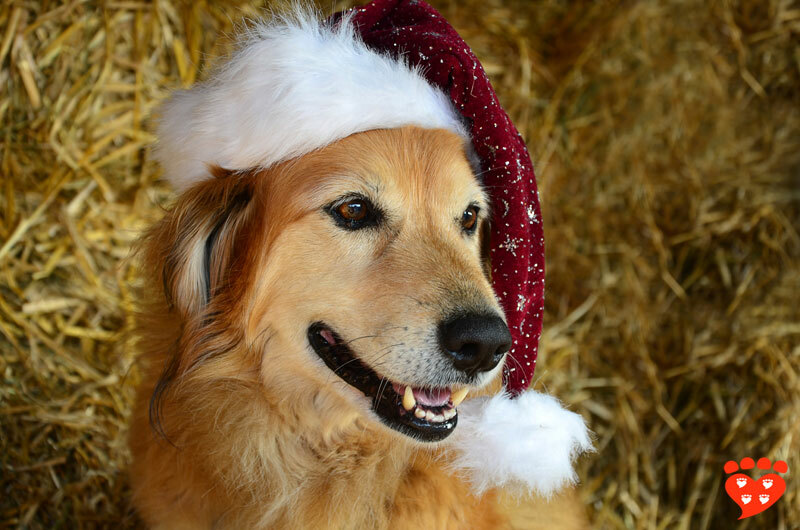 Look at the ears, and take into account whether the dog put them in position or if the costume has affected their movement. And don't forget to consider posture too. If you’re struggling, start by identifying the dogs which are definitely happy, and take it from there, because people seem to find it easier to identify a happy dog. If you like, you can leave a comment on the body language you see. 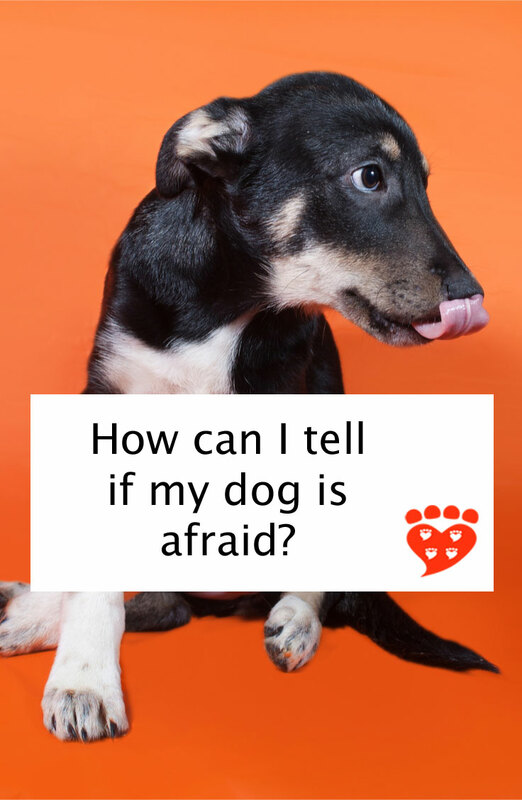 What if My Dog is Afraid? and The Cautious Canine-How to Help Dogs Conquer Their Fears by Patricia McConnell. There are many ways we can help a fearful dog. Often, simply recognizing the fear means we can do something to help, such as by intervening to prevent someone from patting our dog when the dog doesn’t want it, or removing the dog from a difficult situation. Sometimes, it can take a long and gradual training program to make a difference. 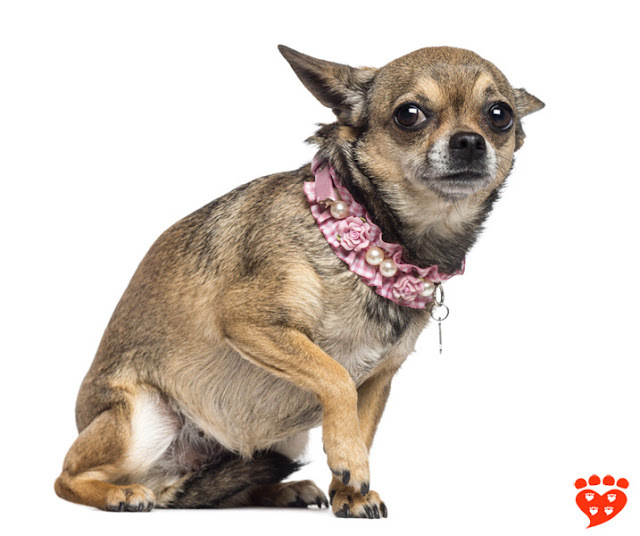 See eight tips to help fearful dogs feel safe. A powerful technique to help dogs overcome their fears is desensitization and counter-conditioning. Because it can be hard to get it right, you might like to find a good dog trainer to help. In some cases, you may also wish to speak to your veterinarian to find out if they advise the use of medication. Some trainers use a technique called negative reinforcement with fearful dogs. This is an aversive method. To see why I do not recommend it and what I suggest instead, see my post on negative reinforcement in dog training. You might also like seven reasons to use reward-based methods in dog training. If your dog is afraid at the vet, see my list of resources on less stressful vet visits for dogs and cats. You might also like to check out Fear Free to see if there is a Fear Free veterinarian near you. 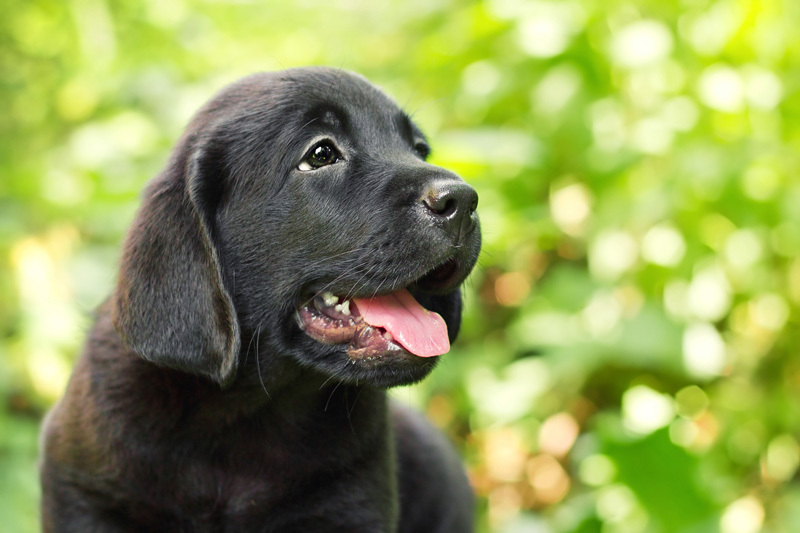 And you might be interested in the Husbandry Project from the Academy for Dog Trainers, which is currently recruiting dog owners and trainers to test out training plans aimed at teaching dogs to like vet visits. More info here. Subscribe to Companion Animal Psychology to learn more about how to have happier dogs and cats (according to science). And stay tuned for more posts on this blog!